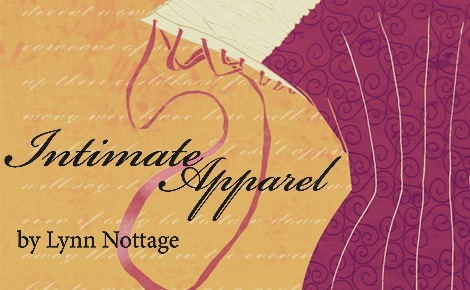 Production: Intimate Apparel by Lynn Nottage directed by Jonathan Wilson. seamstress, Esther Mills, and the trials she faces creating undergarments for a wide array of clientele, ranging from upper class white women to prostitutes. Sunday performances at 2:00 p.m. Location: Loyola University’s Kathleen Mullady Theatre is located just a crosswalk away from the Loyola “L” stop on the Red Line. Love this clip!! Bill Irwin hams it up (especially like when he tunes up his baton), and Karen Ziemba couldn’t be sexier…. Flex-pass for multiple Rogers Park theater companies! What a great, great idea! I know that often potential theatre-goers are wary of being “tied down” to specific dates, which is the m.o. of most theatre subscriptions. (on a personal note, being on the board of my condo, I am very aware that people feign away from being on committees for fear of being “tied down” to a meeting schedule). 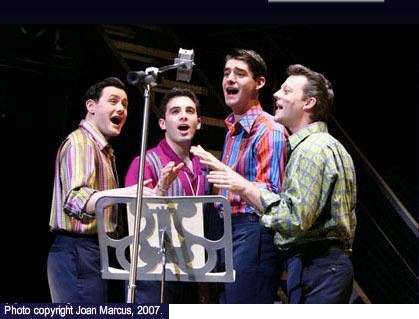 But now theatre-devotees have an offer they can’t refuse – you can go to various theatres without being shackled to specific dates, specific shows and specific number of seats for the performance. Brilliant! 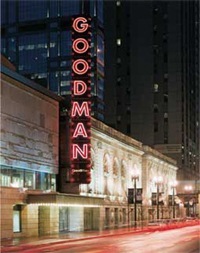 The participating Rogers Park theatres, all in the Glenwood Avenue Arts District, include Bohemian Theatre Ensemble, Lifeline Theatre, The Side Project, and Theo Ubique. (Okay, it’s a bit of a stretch to designate the Side Project as part of the Glenwood Arts district, but who am I to question). The flexible subscription pass will be valid for any of these theatre’s productions from September 15, 2008, to July 1, 2009. This foursome garnered nine non-Equity Jeff Awards this season alone, and wanted to share this commitment to excellence in this neighborhood with the community, by offering this discounted pass with up to 40% savings over regular single tickets. Where: The $50, four-show pass – good for one adult or kids show, anytime during the season, from each of the four participating theaters (offer does not include participant shows in venues outside Rogers Park) – is available at each theatre’s box office, and at www.thesideproject.net/tickets.php The pass is business card-sized to be kept throughout the season, to be punched when used at each theatre, and displayed at each restaurant when a discount is requested. Dining Discounts: Rogers Park restaurants near these theatres are partnering to offer dining discounts to pass purchasers for the season through July 1, 2009. The Heartland Café (“good wholesome food for the mind and body”), 7000 N. Glenwood Ave., is offering a 15% discount to audiences with a flex pass; Gruppo di Amici (Roman style Italian food), 1508 W. Jarvis Ave., and the Morseland (“good eats, nice beats”), 1218 W. Morse Ave., will extend 10% off to patrons (with flex pass). In addition, Charmers Café/Dagel & Beli [sic] (coffeehouse and bagels), 1500 W. Jarvis Ave., will offer $2 off one order with flex pass (one visit only-not season long). 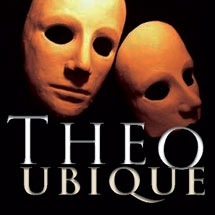 Theo Ubique offers dinner and show packages at the No Exit Café, 6970 N. Glenwood Ave.
Glenwood Avenue Arts District, in the heart of Rogers Park, features numerous artist studios, music venues, theaters and restaurants and is fast becoming known as a vibrant and unique arts destination, which was described in the Daily Herald – “Rogers Park, on the north edge of Chicago, offers an urban vibe, intimate but exciting theater, a variety of live music, good restaurants and largely free parking, not to mention glorious Lake Michigan beachfront open to all.” The theatres in this area frequently are nominated for, and win, Jeff Awards (www.jeffawards.org), and are often picked to perform at the Chicago Park District’s Theater on the Lake, “best of the best” summer season. Last word: Again, I think this is a great idea. I would suggest looking into getting Raven Theatre on board (maybe they already have), as well as looking into the type of flex pass the Raven uses – one that never expires. I suggest this because I assume that most people will use all of their flex-pass tickets during the first year anyway – but offering tickets with no expiration date just makes the deal that much sweeter. Sunday Night Sondheim – Pet Shop Boys: "Losing My Mind"